Held June 26-28, 2015 at the beautiful and historic Althea Center for Engaged Spirituality. Please join us for engaging speakers, an enticing gallery of vendors, fun tarot games, and new and old tarot friends! Register at Tarosophy Tarot Conventions. I will be hosting the fabulous and inspiring, Gypsy Tea Party! 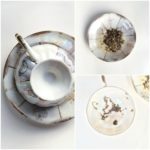 Learn the art of reading tea leaves, tapping into intuition and interpreting symbols. The class will include reading materials, tea cup, tea, and of course lots of magic! Small fee for materials: $8-10. So excited to be in one of my favorite cities!! And let me tell you… the information and packet are going to be so exciting!!! For more information about Denver TarotCon visit, HERE. I will be doing private sessions in Denver! Please contact me for details to set up an appointment! I hope to see you!! Do You Want to Learn to Read Tea Leaves?